Home » Flavours Blog » It’s Good to Give this Christmas! It’s Good to Give this Christmas! At the Flavours office in Edinburgh we have a great pop-up shop full of Italian goodies for Christmas. Here, you can find donation boxes for the charity It’s Good 2 Give. Also, all profits from 5p bag charge will go to the charity. 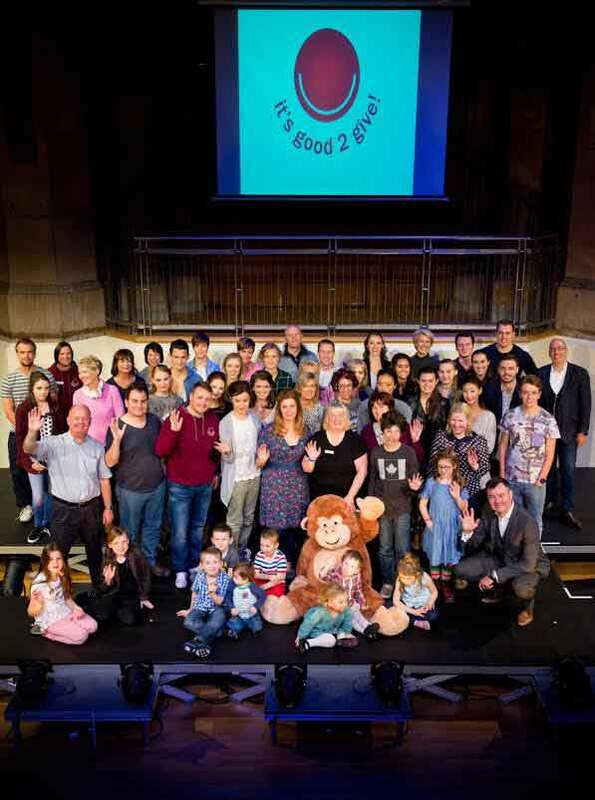 We spoke to Lynne, the founder of the charity Its Good 2 Give, to find out more about the wonderful work they do raising money for young people with cancer and their families. Whilst charities need support and help all year round, it is particularly important during the Christmas season to remember those less fortunate than ourselves and to give back. The work of Lynne and her team at Its Good 2 Give really will inspire us all to do our bit this Christmas. It’s Good to Give started in April 2010 and since then we have raised over £800k. We use money raised to support young people with cancer and their families, and try to do their best to make life a little bit easier on a day-to-day basis. We are volunteers and work from an office in my home to save costs – we work hard to keep our admin costs as low as possible. We try our best to help in practical ways; for example we provide a daily snack trolley in the oncology ward at the Royal Hospital for Sick Children in Edinburgh – so there are snacks for patients AND their parents. We provide parent packs for parents staying in hospital with their child – essentials but luxurious and some other treats. Organise monthly workshops – for the whole family to attend – rock climbing, golfing, cook school at Martin Wishart, cupcake decorating, arts and crafts and confidence building – these are just some of the workshops we have held. And if we can we help with requests – e.g. we have given 50% deposit on a motability car for a teenager wanting to return to college, given a mobile phone to a teen who had developed cataracts from treatment, fixed up a family car so that family could get out and about. Our big goal is to create the Ripple Retreat – a place where one family at a time can spend time together during the long months of treatment and also for use by bereaved families. We have been gifted the land on the shores of Loch Venachar in the Trossachs National park and our architect has designed the stunning Ripple Retreat entirely pro bono. We got our planning consent on 26 may this year. Our aim is to commence building in May 2015 and be finished this time next year, but we must have £1m in the bank and we need to raise another £250k to do that. We have several events coming up in 2015 and we are charity partners for the Edinburgh Kiltwalk so there are many opportunities for people to help us reach our goal. We would also welcome sign ups to our mailing list, increasing our followers on social media and new charity/business partnerships! We may be tiny but we are ambitious and caring. Another simple and easy way to get involved is to send a text to 70070 with It’s Good 2 Give’s charity code “IGTG13”, include an amount eg.”IGTG13 £10″. Press send. You’ll receive a text with a link to a Gift Aid form. If you’re a UK tax payer, It’s Good 2 Give! benefits from a 25% boost to your donation. And, if you are in Edinburgh, come along to our pop-up Italian Christmas shop and donate to the charity here.